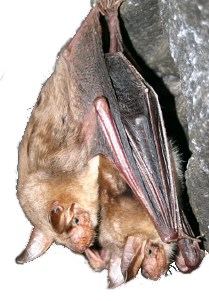 The European Bat Night is a public-awareness event, organised yearly in the European countries which are parties to the Agreement on the Conservation of Populations of European bats (EUROBATS). The event is held mainly during the last weekend in August (however, other dates are also possible). Its aim is to present interesting information about bats, their conservation and research to the general public. During the bat night, public lectures prepared by bat experts are held in many places of Europe. People learn about threats affecting bats and how to be helpful in bat conservation. They are provided with awareness materials, can even touch a bat and ... perhaps change their view of these hidden-living mammals. In the Czech Republic, the European Bat Night has been held regularly for several years already, on an increasing number of places and being visited by an increasing number of people. Organisers of the event are ČESON members in most cases. Please contact Daniel Horáček (daniel.horacek@volny.cz), the national EBN coordinator, for more information.